I’m a huge TV buff. Actually, that's kind of an understatement; I’ve seen every episode of every season of every Law & Order series at least twice, I pathetically cry during almost every single episode of Grey’s Anatomy, Dr. Mindy Lahiri never ceases to make me laugh, and I’m totally rooting for Olivia Pope to get over both the President and Jake and find herself a real man! So imagine my dismay when I fell asleep with my 40" Element TV on and woke up to find that the backlight was no longer functioning. No picture (unless you're pointing a flashlight into the screen), just sound and a whole lot of WTF since I had just purchased it at Target less than nine months prior. The worst part? Target would not take it back and while still under warranty, Element TVs asked me to pay to ship the mammoth thing all the way to California to the tune of nearly $300. Well that was the end of my short lived relationship with Element TVs. Fast forward a few months, it’s still sitting in my apartment and I still don’t have a properly functioning television. I refuse to make the same mistake twice so I’ve been carefully reading reviews and taking my time shopping for a new one. With all the bells and whistles available on modern televisions choosing a TV is almost as difficult as choosing a nail color at the salon. And while sales associates at Best Buy, Target, and the like are somewhat educated and informed, they are also eager to sell. So which are really the best? Which really have the blackest blacks, the brightest whites, and the best viewing experience? 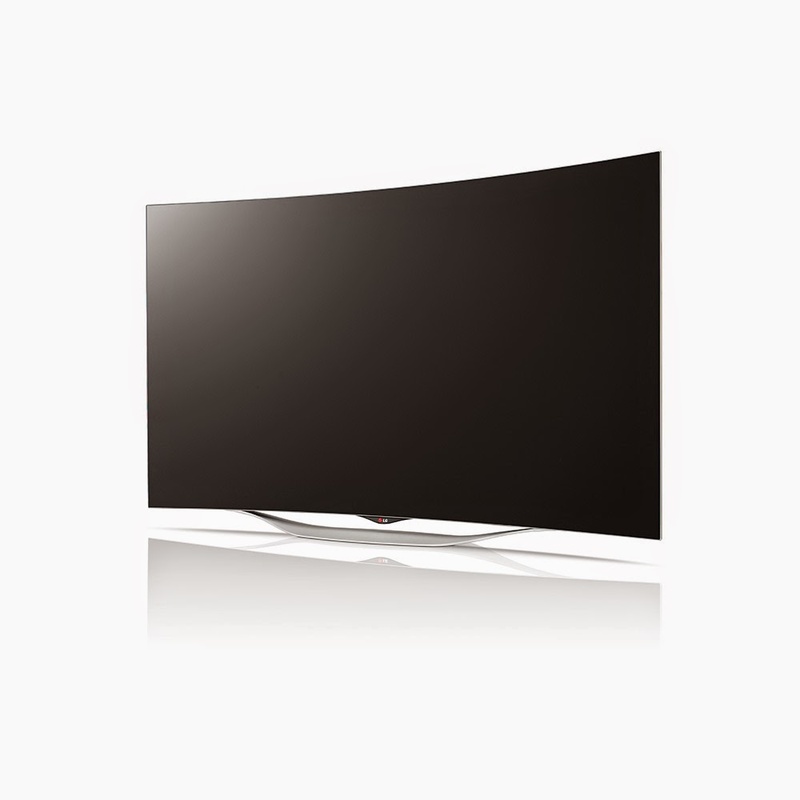 That would be LG OLED curved TVs; specifically,the 55 inch EC9300, a top of the line HD TV that has won award after award and blown the competition away in trade shows across the globe. 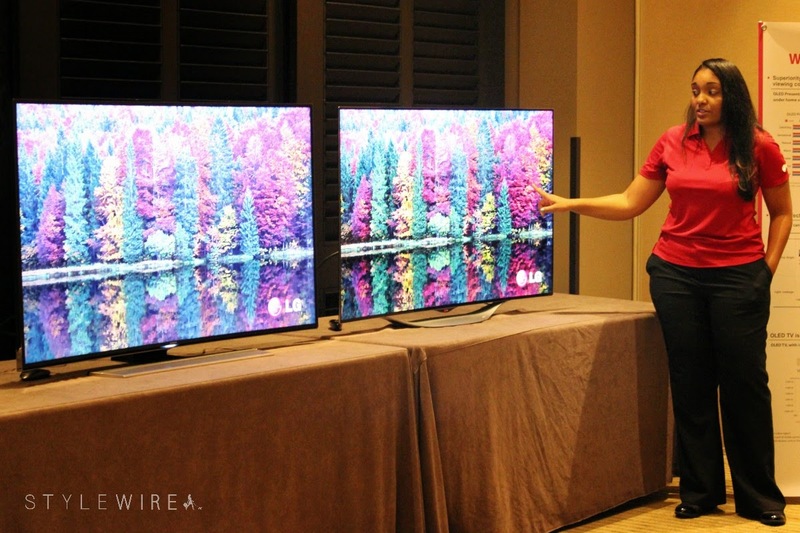 I was lucky enough to attend a media presentation at the Westin Copley and not only meet the Vice President of LG Electronics and the Vice Presidents of LG Design, but see and experience one of the most impressive TVs on the market. First off, OLED stands for Organic Light Emitting Diode which describes the unique light source used in these TVs. LG OLED TVs are not backlit completely eliminating the possibility of a repeat of my Element TV tragedy. Because it’s not backlit, it also uses almost half as many parts and panels as competitor’s models making it up to 6mm thinner than other curved or HD TVs. Instead of the traditional backlit method, each pixel is individually illuminated allowing it to achieve the impressive black levels and ultra-rich colors it is known for. When the picture on the screen is supposed to be black, the individual pixel simply does not illuminate, resulting in the deepest blacks and minimal light "leakage." For sports and movie enthusiasts, LG OLED TV’s are great for gathering with your friends and family in the living room for Monday Night Football or Movie Night. The superior OLED technology not only provides the richest colors and best viewing quality, but it offers it from every possible angle. So even if you’re in the kitchen cooking along with Rachel Ray and your LG OLED TV is across the room at a slight angle, the colors and viewing experience will be exactly the same as if you were viewing from front and center. It’s also, of course, a fully functioning Smart TV allowing you access to apps like Netflix, Hulu, and Skype as well as the internet with a few clicks of the remote or its voice command option that I got to demonstrate! I’m excited to see how this new technology from LG changes the industry. There is not a single model on the market that can claim to come close to the superior picture quality LG has produced with their innovative OLED TVs. While these newer models are slightly out of my budget, I am definitely considering an LG HD TV as a replacement for the useless model that I currently own. 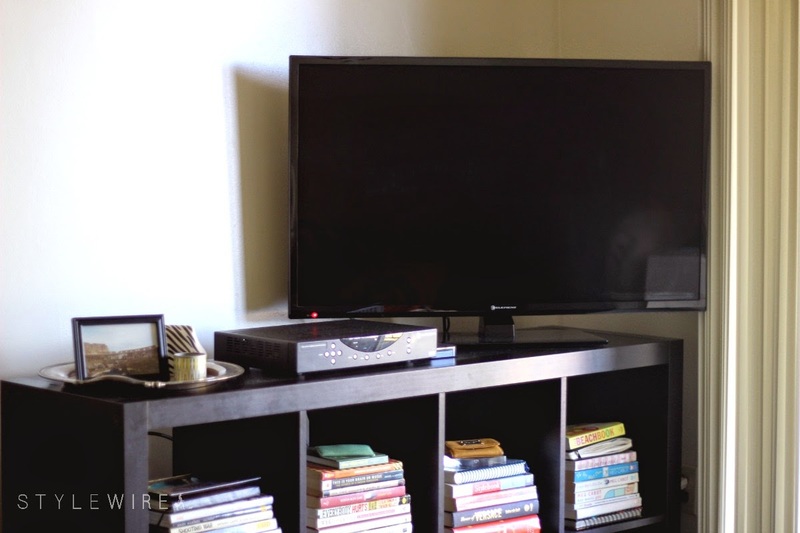 What model of TV do you own? Do you love it or do you feel your picture quality is lacking? This post was sponsored by LG US. My TV really is broken. All opinions expressed are my own. Thanks for supporting those who support Style-Wire.com!